(Dec. 2013) We visited Xixia King Winery on a sunny winter afternoon, and I was very impressed with all of the large signs and entry gates signaling the approach of the huge Chinese style visitor’s center, which is named Chateau Yuachan. 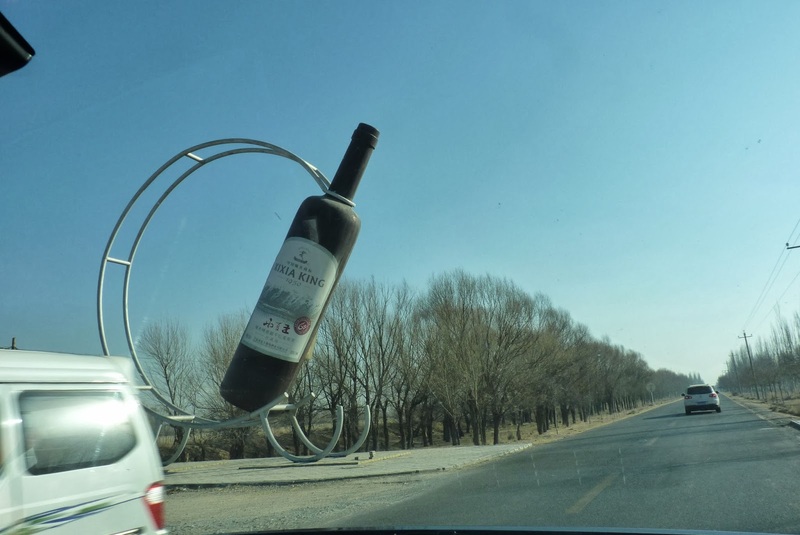 Xixia King is the oldest winery in Ningxia having been established in 1982. They are also the largest, farming over 100,000 mu (1/3 of the vineyards in Ningxia) and, have extensive housing for their workers. It was originally a cooperative and has 14 farms. Today is it owned by the regional government, and there are plans to expand even further with additional brands and new “chateaux” on the property. They plan to call it “Grape Town” and eventually have 6000 people living and working on the property. We were greeted by the winemaker, Evan who spoke perfect English. He escorted us through the large and very fancy chateau where we saw special tasting rooms for VIPs, and the excellent museum they built to tell the wine history of the world as well as Ningxia’s. In the museum they describe the Xia Dynasty, which lived in this area and created the famous tombs that are a top tourism draw today. 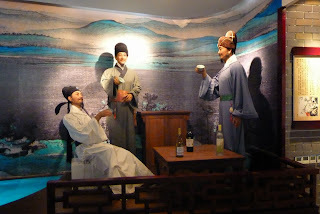 The Xia Dynasty was also famous for drinking and writing poetry. The brand “Xixia King” was named after an ancient warrior who became king. His symbol is shown on each wine bottle – a warrior with a large sword riding a horse. 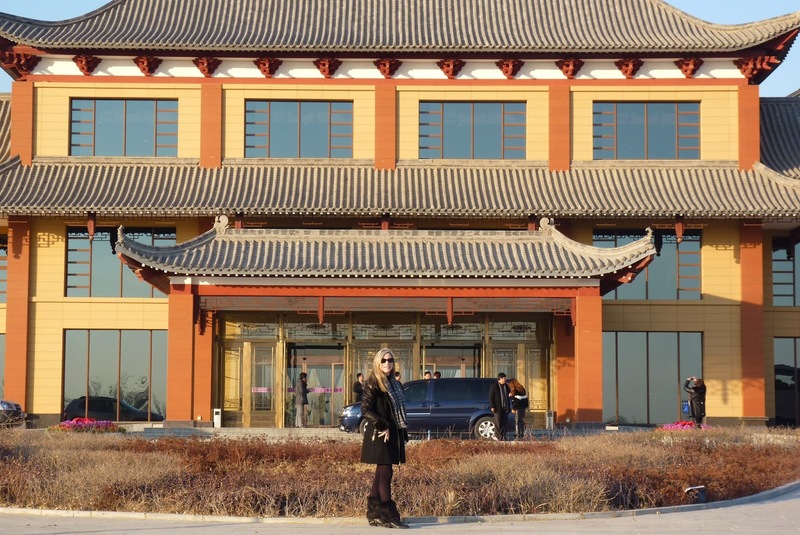 Evan continued his tour by showing us the future location of Ningxia’s International Wine Center that will showcase the wines of the world, as well as Ningxia gold medal wines. He also showed us where wine club members could make their own wine and bottle it. We concluded the tour with a barrel tasting of the 2013 Italian Riesling and cabernet sauvignon. Though both were very young, they were fresh with vibrant fruity flavors.